5500D monitors and their optical probes proved to be a valuable tool for the management of super-intensive shrimp culture, allowing quick adjustments to be made to minimize stress from low DO while setting upper and lower DO limits helped to optimize oxygen use. 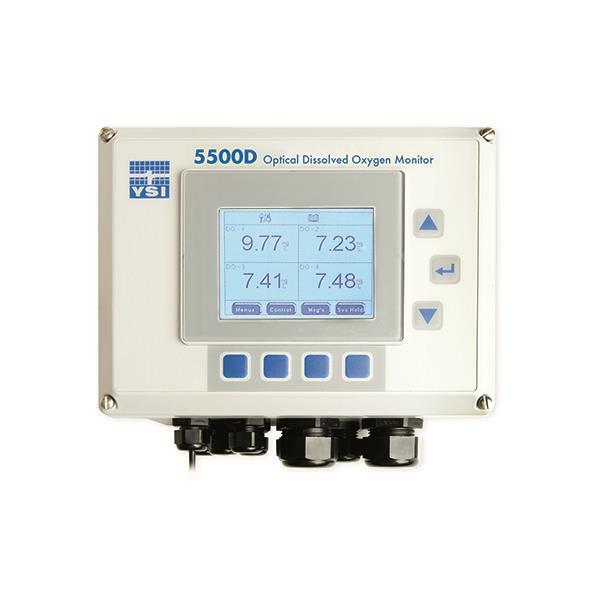 Designed specifically for aquaculture systems, the YSI 5500D continuous monitor for dissolved oxygen and AquaManager® Software can be used to integrate process control, feeding, alarming and data management into one product or can be used to simply monitor one tank. With YSI's ODO® optical dissolved oxygen technology you'll benefit from reduced costs, less maintenance and better data. The ODO sensors require no membrane changes, no electrode cleaning, no stirring requirement and less frequent calibrations. The standard conditional feed timer, Feed Smart, manages food delivery based on user's preset criteria. 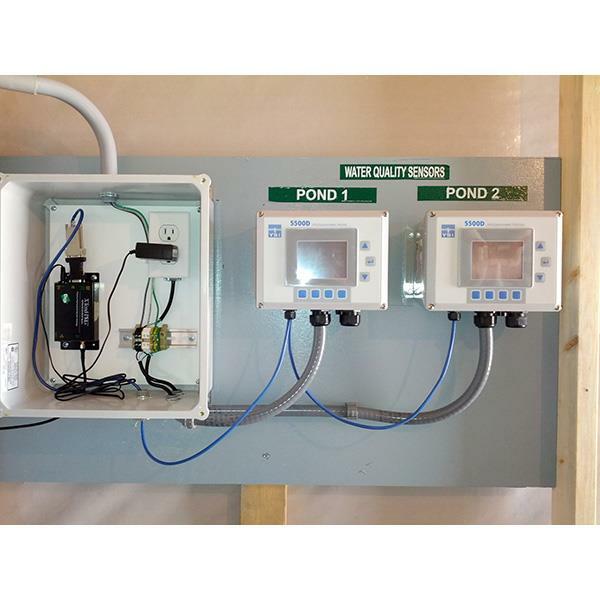 Manage feed delivery based on user-selectable inputs for the number of daily feedings, daily feed weights, total biomass and feed conversion ratios (FCRs), along with parameter control based on water quality values. Interfaces with most auto feeders. Optional AquaManager® desktop software allows you to view, configure, or setup instruments from the convenience of one central location. Instantly see an overview of your facility, manage parameter set points, and conveniently manage data to make informed operational decisions. The facility mapping feature provides an immediate overview of all ponds or tanks indicating their current state.